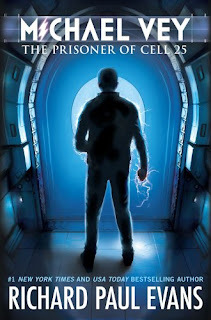 On Friday, August 12th, best-selling author Richard Paul Evans came to the Provo City Library on tour for his new YA, science fiction book Michael Vey: The Prisoner of Cell 25 (released Aug. 9th). At that point, the book (again, which was released three days prior) was already in its 5th printing. Can you believe that?! It has been THAT popular. It has also been in the #1 spot on both Barnes & Noble and Amazon as well as being on the New York Times Best Sellers' List for several weeks, at least two of which have been for the #1 spot. Wowee wow. 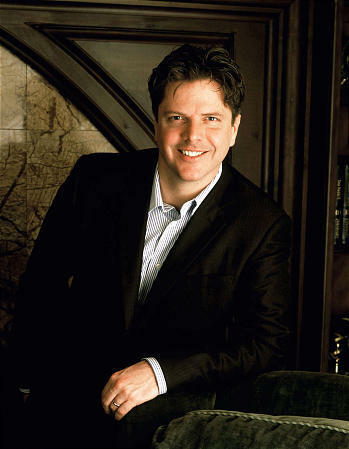 Michael Vey: The Prisoner of Cell 25 is only the first of an eventual seven book series. When people comment to Mr. Evans that YA sci-fi is so unlike him, he simply says that it's actually the real him. He grew up loving comic books and fantastic fiction stories, so writing Michael Vey has really been a way for Mr. Evans to express his true self. Not only is Michael Vey a good sci-fi read (especially helpful in getting boys to pick up a book) and a comment on a common malady, it also serves as inspirational material. Mr. Evans stated on his website, "It’s interesting that this book came to me at this time, when the YA (Young Adult) genre is being flooded with the very opposite kind of book–stories with dark and dystopian themes. Michael Vey is an adventure story about hope, loyalty, courage and love. Yes, it’s also scary at times, but that just makes it fun!" So along this vein of Michael Vey being an uplifting book, perhaps because he was speaking with a predominantly LDS audience, Mr. Evans told us that a couple of very significant acronyms surfaced as he was writing. I AM and MT. ZION. These words were formed from the first letters of character names. He also went on to explain some of the situations in the book and how they relate to the gospel. He related how this story is very spiritually meaningful to him and how it can be to others as well. Richard Paul Evans equated the strong and clear impressions he received to begin writing Michael Vey (as well as the impressions throughout the entire writing and publishing process) to his previous powerful experience with The Christmas Box. He faced opposition in different forms (one of which was being rejected by a big publisher, then his friend Glenn Beck helped out in the case of MV) but stood his ground, knowing that his work was a special story that needed to be told. He was incredibly confident with its future success -and he has been proven right. Take a look at the official Michael Vey website for more information on the book. There is even a Michael Vey Advisory Counsel to incorporate the book series into schools. My name is Michael Vey, and the story I’m about to tell you is strange. Very strange. It’s my story. To everyone at Meridian High School, Michael Vey is an ordinary fourteen-year-old. In fact, the only thing that seems to set him apart is the fact that he has Tourette’s syndrome. But Michael is anything but ordinary. Michael has special powers. Electric powers. Michael thinks he's unique until he discovers that a cheerleader named Taylor also has special powers. With the help of Michael’s friend, Ostin, the three of them set out to discover how Michael and Taylor ended up this way, but their investigation brings them to the attention of a powerful group who wants to control the electric children – and through them the world. Michael will have to rely on his wits, powers, and friends if he’s to survive. So, what do you think, oh Lovely Reader?